A beautifully designed black evening bag. 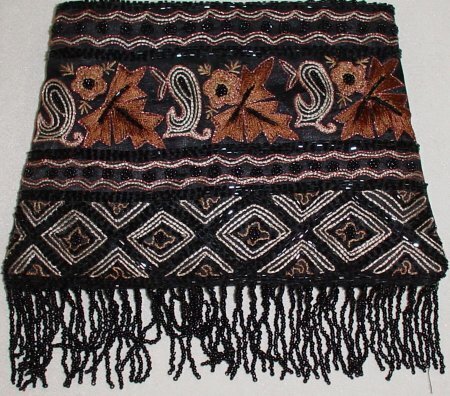 Base colours are black and copper decorated with black beads. Suitable for any occasion.